Rennes is a lovely town from western France, capital city of the historical region of Brittany. It is home to a vivid cultural life, at the edge of tradition and modernity. 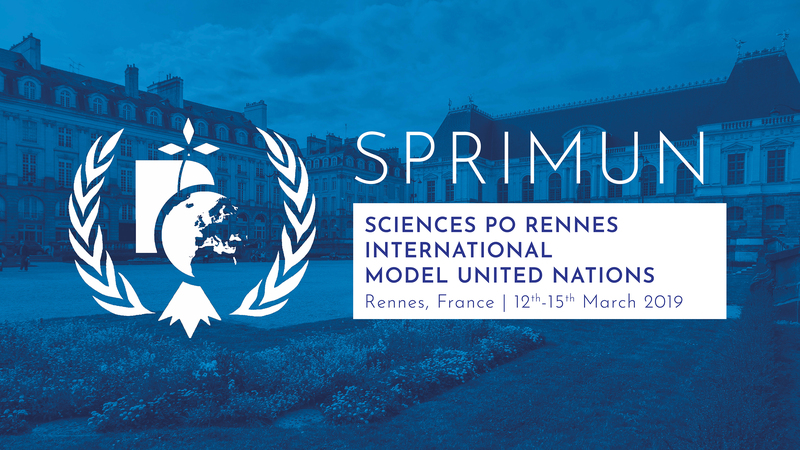 In 2012, students from the Institute of Political Sciences (Sciences Po Rennes) decided to set up the first Model United Nations simulations that ever took place in the region. Since then, the event has been organized on a yearly basis, bringing together young talents from all over Europe and beyond. As usual, SPRIMUN 2019 will be hosted in first-class venues, including Hôtel de Courcy and Sciences Po Rennes. Exclusive social events will punctuate the four days of simulation, offering delegates a unique way to dive into Rennes’ sparkling cultural and social life. Please make sure to follow us on our channels to stay updated and get our latest information!